Viper car alarms are the world’s best selling vehicle security and remote start brand. Viper uses cutting-edge technology to make sure you are in control, providing range and features you can count on every time. In addition to Viper car alarms, Tidewater Auto Electric and Sound carries a great selection of the most current ‘Remote Vehicle Control’ technologies in the industry. Remote start your vehicle, lock and unlock your doors, and arm or disarm your security system from anywhere in the world! With the “Viper Smart Start” interface you’ll have the ability to control your vehicle from your mobile device as well as receive “real time” notifications regarding vehicle status/security. In addition, you’ll gain the ability to track your vehicle from anywhere in the world with the Viper Smart Start GPS add on. With many systems to choose from we have the unparalleled ability to accommodate any vehicle platform. 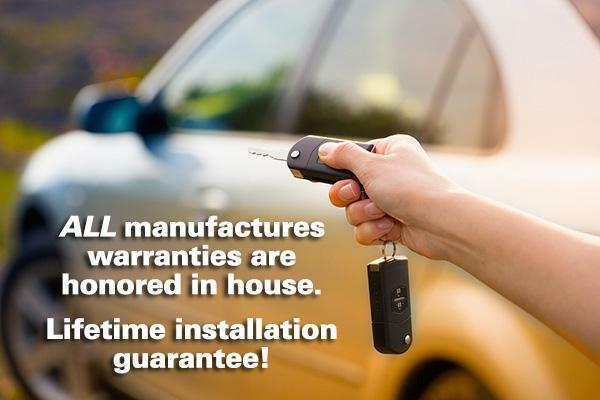 So remember, getting a new car alarm or remote start system has never been this simple! © Copyright 2019 - Tidewater Auto Electric and Sound | Site Designed by Kevin Makes Sense Media.